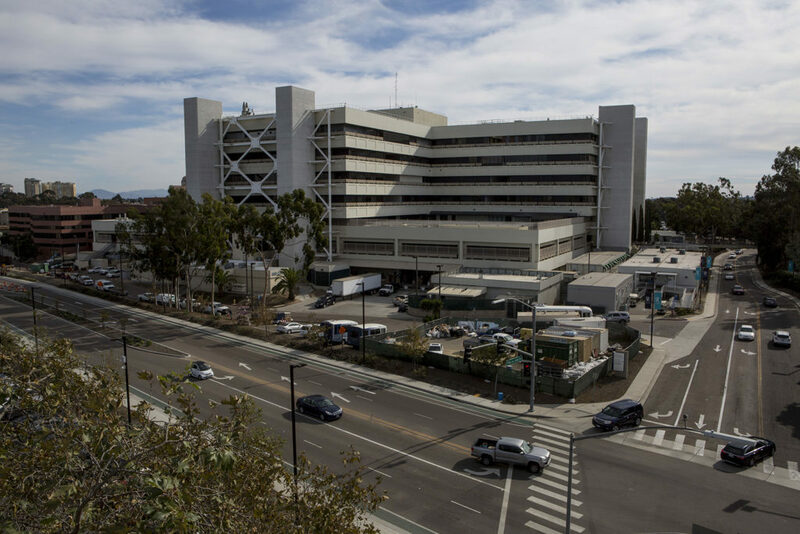 Rep. Scott Peters on Monday requested a congressional hearing into allegations of dangerous human research at the VA San Diego Healthcare System, as detailed in an inewsource investigation last week. If Peters’ request is granted, Congress will investigate the allegations of two whistleblowers – Martina Buck and Mario Chojkier – who said former San Diego VA division chief Dr. Samuel Ho performed unapproved liver research on alcoholic veterans without their consent, putting their lives at risk. They also alleged violations of privacy laws, abuse of authority and a “substantial and specific danger to public health” at the San Diego VA, according to a federal report sent this month to Congress and President Donald Trump. “Due to the severity of these allegations and the VA’s unsatisfactory findings, I respectfully request an oversight hearing on this matter,” Peters wrote to fellow members of the House Committee on Veterans’ Affairs. Ho, who conducted the research, was also a professor of medicine at the University of California San Diego. He resigned from the VA and UCSD in July to take a job in Dubai at the Mohammed Bin Rashid University of Medicine and Health Sciences. He did not respond to an interview request on Monday. Also on Monday, inewsource asked for an interview with the head of the San Diego VA but did not hear back about the request. The San Diego VA provides services to the nearly quarter-million veterans in San Diego and Imperial counties, and has one of the largest research programs in the national VA network. Ho conducted research on some of those veterans from at least 2014 to 2016 as part of a study that aimed to improve the diagnosis of liver inflammation caused by alcoholism. Buck, a scientist who chaired the San Diego VA research safety committee in 2013, found fault with the project before it began – when Ho proposed to include pregnant patients in a study that used X-rays, which is considered a serious risk for a developing fetus. “There is no circumstance where it is acceptable to put the life of the fetus at risk for research purposes even with parental consent,” Buck wrote in a letter to the Office of Special Counsel – an independent investigative agency that looked into the whistleblowers’ allegations. Ho’s study was allowed to continue after he removed pregnant patients from the proposal and made other modifications. Chojkier is the director of the liver and transplantation clinics at the VA and professor of medicine at UCSD. He and Buck told federal investigators Ho was performing surgery on very sick patients who would derive no benefit from the study, and that those patients weren’t being cognitively assessed before consenting to the procedure. The procedure involved placing a needle and catheter into the neck of patients, guiding it with X-rays down to the liver and removing a piece of the organ. It’s called a transjugular liver biopsy and is considered a safe technique to use on healthy patients. The Special Counsel’s Office took Buck and Chojkier’s concerns in 2016 and mandated the VA conduct an internal investigation. The resulting VA reports substantiated some of the whistleblowers’ concerns but not the main allegations. The San Diego Democrat also asked the House committee to consider, as part of its oversight role, VA whistleblower retaliation, the San Diego VA’s medical center management, its approval process for studies, its training of researchers and its privacy violations. inewsource reached out to the four ranking members of the House veterans affairs committee who received Peters’ letter. “I’m deeply disturbed by allegations that the VA improperly conducted research on veterans at the VA San Diego Healthcare System,” said New Hampshire Rep. Annie Kuster, the ranking Democrat on the Veterans’ Affairs Subcommittee on Oversight and Investigations. An aide to committee Chairman Phil Roe, a Tennessee Republican, said the panel “would need to conduct additional review and due diligence before scheduling a hearing,” and there isn’t enough time to allow for that before the end of this Congress. Peters had told inewsource he expects the hearings to take place in the first half of 2019.